So many people want us to follow their lead and obey their voice. Only God alone has proved himself faithful and loving through the ages. In his might, he is to be revered. But rather than seeing reverence as a "church thing," we are reminded by Moses it is a "life thing." 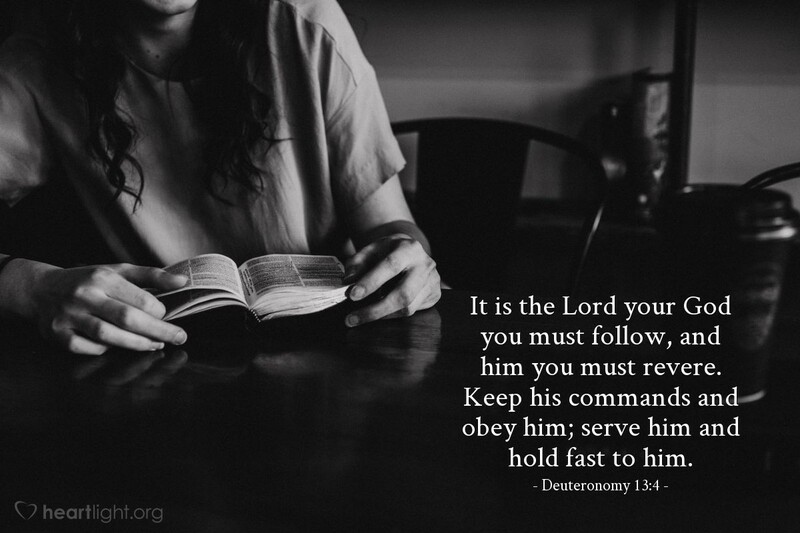 We are to obey and keep his commandments, we are to serve him and depend upon him in our daily lives. Rather than silence in the assembly, reverence is action to his glory! Holy and Righteous Father, help me take my worship outside the church building into my day to day life as I try to live what I sing, practice what I say, and pursue what I pray. In Jesus' name. Amen.